We are BirdsInwhite.com the premier white dove release service in Connecticut. 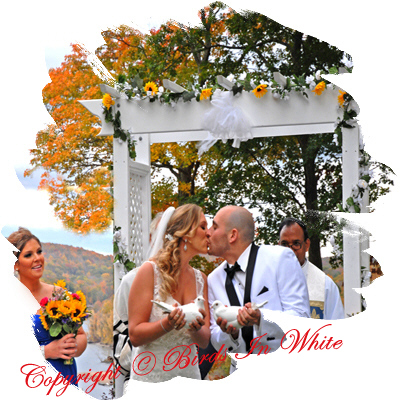 Our dedication to providing professional quality white dove releases is unsurpassed. 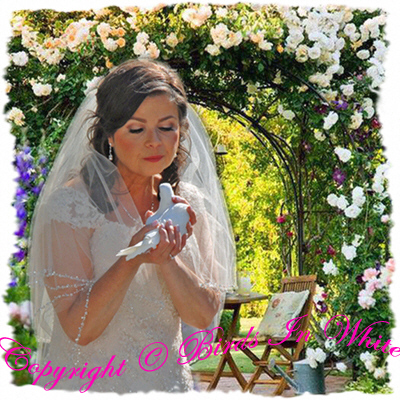 We specialize in creating memorable and elegant dove releases. Our focus to detail as well as our ability to coordinate with photographers, clergymen and wedding consultants positions us far above the rest. "Let our doves help you make a lasting impression"
...announce your feelings to the world, our doves will do it in grand style. The dove is symbol of innocence, gentleness, and affection; also, in the Scriptures, it is the typical symbol of the Holy Ghost. God sent his spirit in the form of a dove to gather mankind into his church. In Christian Iconography, a dove represents the Holy Spirit. This is in reference to Matthew 3:16 and Luke 3:22 where the Holy Spirit appeared as a dove at the Baptism of Jesus. Doves symbolize peace, tranquility, harmony, and innocence. 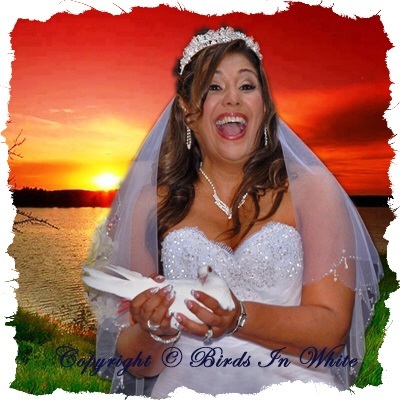 In particular, to release white doves on your wedding day it symbolizes love, loyalty and friendships. It may also represent a message and blessing from the Holy Spirit. 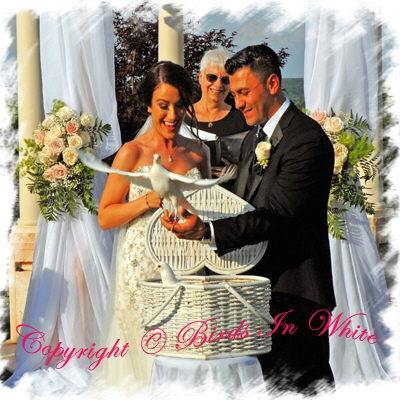 White Doves are appropriate for all special occasions such as Weddings, Birthdays, Graduations, Grand Openings, Anniversaries and Sporting Events..